Today only you can clip a coupon for a free Malt O Meal at Kroger. Just go here to clip the coupon. 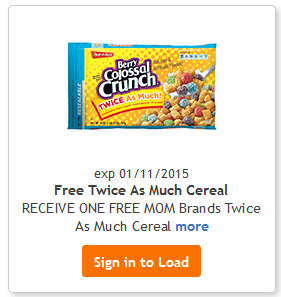 Although coupon has to be clipped today, you have until 1/11 to buy the cereal.